Who said a holiday shouldn't be the time to learn a new skill - especially if it's one you can take home and impress your friends with. 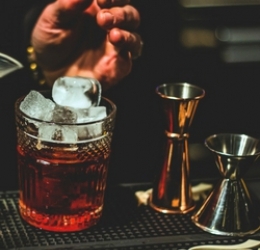 Shake a little class into your weekend away with cocktail making lessons. You’ll work with a bona fide mixologist, creating 4 cocktails each, which, of course, you'll get to enjoy afterward. The idea here is to have fun, and you'll have the chance to make some new things with your favorite types of liquor. Bonus points if you can do that flip over the head thing without looking like an idiot. Learn how to make your favourite drinks! Total price: 0 HUF Provisional quote only - price may change once details are confirmed.